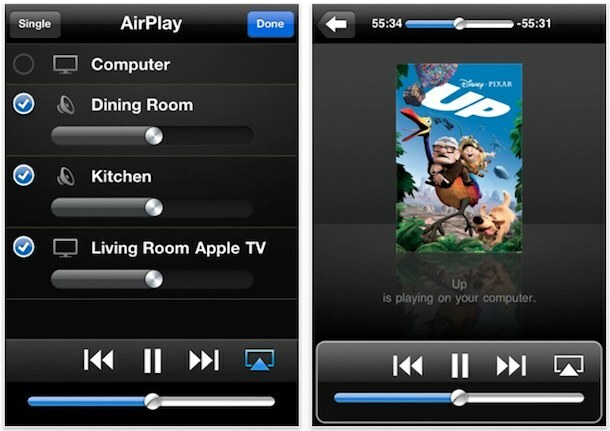 Apple has released an update to the iOS Remote app and it offers some pretty significant feature updates, but perhaps most significantly is AirPlay support. This means that using Remote you can now stream videos from iTunes on a computer (Mac OS X or Windows) to an Apple TV. As usual you can still control iTunes on your computer from an iOS device too, which is why it’s called Remote in the first place. Remote is a free download via iTunes App Store and runs on all iOS hardware running 3.1.2 or later. If you have an iPhone, iPad, or iPod touch, you should grab this, it’s a great app. The interface looks pretty similar to AirFoil, but obviously a different use here. Makes me want to get a new Apple Tv that’s for sure. I downloaded the update last night, but try as much as I can I can’t find the screen that you show in the first screengrab! Does anyone know how to find it, or maybe it only does this on The iPhone 4. I have a 3GS, but with iOS 4.2.1, so can’t understand it.